GENEVA—Blinds were drawn at a back office of the Intercontinental Hotel one day last year, as a man known to staff as The General emptied a white cloth bag stuffed with euros. It was time to pay for one of the world’s longest-serving leaders. 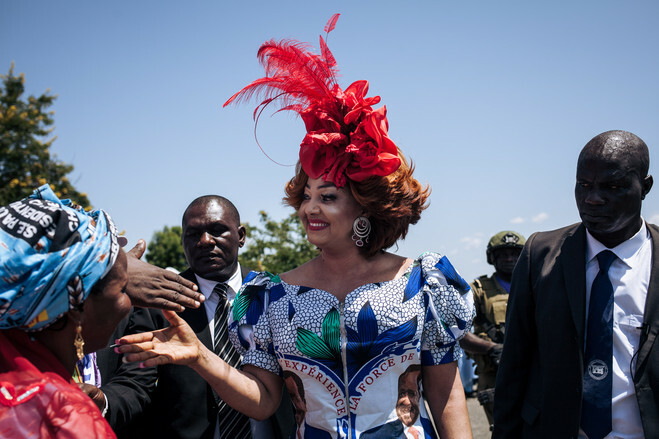 For weeks, several former hotel employees recalled, the five-star hotel had been locked in a secret routine serving its best two customers, the first couple of an impoverished oil-exporting Central African country. Paul Biya, president of Cameroon since 1982, and his wife, Chantal, clock so much time on private visits to Switzerland that staff in the Intercontinental’s gilded corridors refer to them by simple code names: Him and Her. “It’s like they are at home. They live there,” said one of three former senior employees who regularly witnessed the bill-payment ritual. 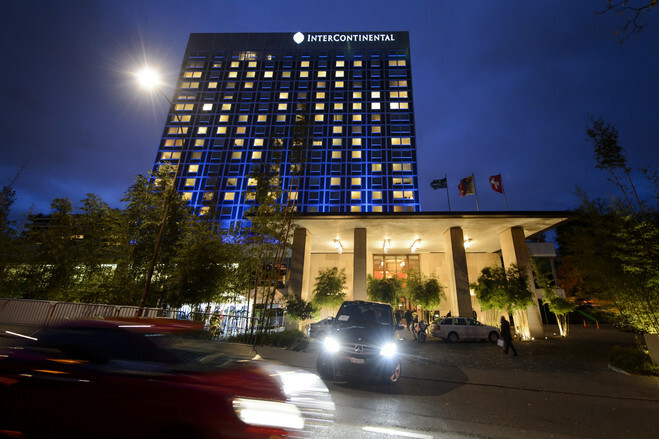 The Intercontinental Hotel said it wouldn’t comment on guests for confidentiality reasons. “Our employees are fully trained not to disclose any information,” a representative said. World leaders dropping top dollar at luxury hotels isn’t by itself unusual. What distinguishes Mr. Biya’s Geneva getaways is the abundant time and hard cash the 85-year-old and his dozens-strong entourage spend here. The president has passed a cumulative four years on personal travels since 1982, the vast majority in Switzerland, according to flight data collected by the website Geneva Dictator Alert, and Organized Crime and Corruption Reporting Project, an investigative group specializing in anticorruption and organized crime that has tracked his travels. In some years he spent a third of the year out of his home country. “Lion Man,” as Mr. Biya’s supporters call him, is currently the world’s longest serving elected leader, if counting from his June 1975 arrival as prime minister, the same week McDonald’s Corp. introduced its drive-through. Since 1982, he has served as president. He is Africa’s highest-paid leader, with a $610,000 official salary annually, according to Africa Review, a periodical. In Mr. Biya’s fourth decade in power, armed separatists are battling soldiers in Cameroon’s southwest, while Islamist terror group Boko Haram seizes villages and kidnaps children en masse in the northeast. Hundreds of thousands have fled their homes in the past two years. Cameroonian migrants now represent the fourth largest nationality sailing into Greece. Last month, Mr. Biya won another seven years in office, taking 71% of the vote in an election in which riot police dispersed protesters. In some areas, less than 5% of the population voted. No Western government sent observers. Mr. Biya has rarely given interviews to foreign media in recent years. In Geneva, the president reserves the entire Intercontinental’s 16th floor, with some 20 rooms and two corner suites overlooking the United Nations’ Europe headquarters and Mont Blanc, said ex-employees, former Cameroon officials, and hotel reservation records reviewed by The Wall Street Journal. The staff haul armfuls of white flowers for his wife and fresh fruit platters—never cut, per presidential orders—for Mr. Biya, according to former hotel staff. Mr. Biya’s trips cost millions of dollars apiece, said Christian Penda Ekoka, a longtime chief adviser to the president, turned opposition activist. A hotel reservation receipt seen by the Journal shows the size of the president’s entourage. In one September 2017 stay, he booked at least 48 rooms. Other Cameroonians stayed in less expensive hotels, former employees said, depending on their standing with the president. To the U.S. and Europe, Mr. Biya is a valuable if awkward ally against terrorism and migration. The U.S. keeps 200 troops and several predator drones at a base in north Cameroon. American and Israeli special forces train Mr. Biya’s troops. The European Union has pledged 282 million euros in aid for Cameroon. The hope is the country will grow wealthier, creating jobs to lure Cameroonians back to Cameroon. The first protests, violently repressed by the Cameroonian armed forces, broke out two years ago. Mr. Biya was at the Intercontinental. He stayed another three weeks after, according to publicly available flight data and Cameroonian state press. 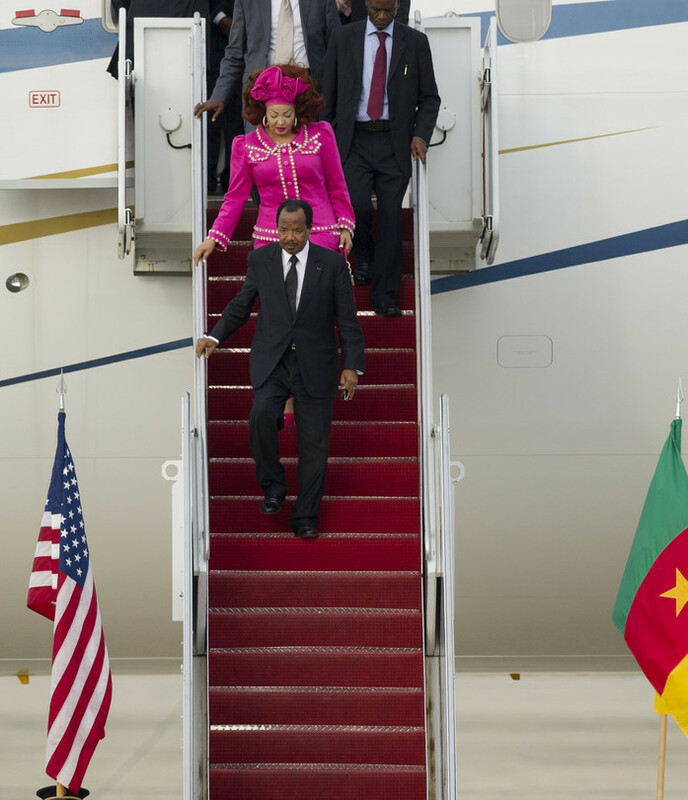 In Geneva, Mr. Biya seldom leaves his corner suite, former hotel staff said. For privacy, the Cameroonian delegation installs its own internet connection and phone switchboard. He enters and exits through the service exit for daily jogs, according to former hotel employees. Mr. Biya’s suite overlooks tranquil Lake Geneva and a boulevard with placards extolling the virtues of human rights, democracy, rule of law: Geneva is a global capital for humanitarian and pro-democracy institutions. 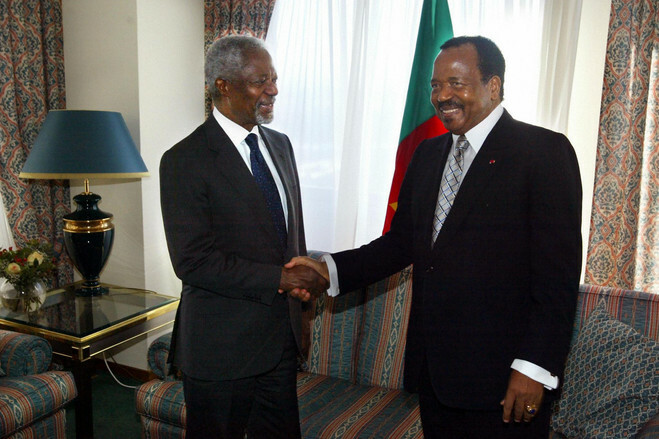 “I find there, each time, an excellent welcome,” wrote Mr. Biya in a 1998 letter to Intercontinental management. His wife—38 years younger than him—is at times seen in the lobby, robed in fluorescent dresses, standing more than 6 feet tall thanks to a voluminous bouffant hairstyle nicknamed “The Banana.” A Cameroonian journalist recently called her “The Belle of the Banana Republic,” and was sentenced to two years imprisonment for insulting her. Her aides and hairdressers tip doormen hundreds of euros to run errands. “Cameroon is like a cash machine for the hotel,” said one former employee. “Everything we can sell them, we do,” said another. Visits begin unannounced, said current and former hotel employees, when an advanced team arrives laden with oversize luggage. Hotel management ejects guests from the 16th floor and moves them to other rooms. Next comes a kitchen team—the president’s personal chefs from Cameroon—hauling jugs of palm oil and equatorial spices. Housekeepers taking days off are called in. An enforcer nicknamed The General roams the hallways on the president’s behalf, chastising hotel staff, former hotel employees said. Last comes an uninvited member of the presidential ensemble, a factory worker from Birmingham, England, who makes YouTube videos of himself shouting at Mr. Biya from outside the hotel. Two days before last month’s election, Mr. Biya made his only campaign speech. “What we have to do now is ensure peace reigns,” he said in brief remarks.